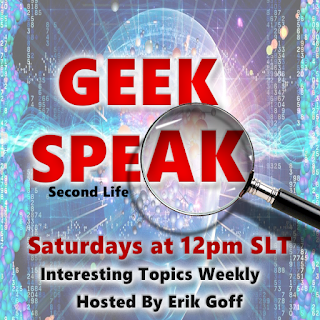 GeekSpeak – what will the future world of robots and humans be like? How will society change when every car, every bus stop, every toaster and every shop assistant is a robot? At what point will we think that robots should have human rights? When will it become illegal to shoot your toaster or leave your food too long in the fridge so that she looks bad and can’t marry your car? If you make your car drive over a cliff will you be charged with murder because you killed an AI? Will there be novels and soap operas about the emotional lives of robots? Will there be new robot art forms? Will humans enjoy the robot novels, soaps and art? Or will we have 2 separate cultures, human and robotic? Do you think you will ever have a robot friend? Welcome to the coming years of confusion. Come and discuss our destiny as only one of the dominant species on the planet. Bring a towel.